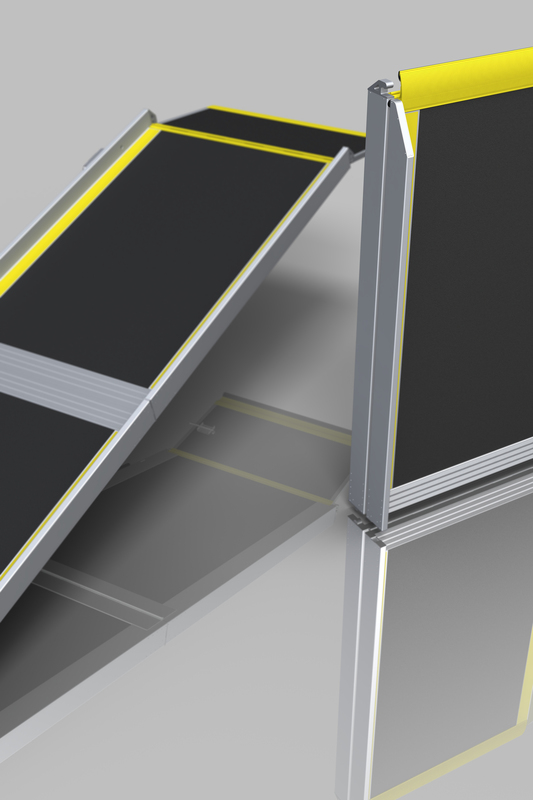 Since its origins in 2006 and the development of the first line of access ramps, PPHU Larisa has been focused on designing and delivering products which are safe and easy to operate with a low unit weight and a high durability. Add a great con-venience in operation by female personnel of transport vehicles, and this line of products leaves the competition behind. With the experience gained on EU markets, PPHU Larisa created the EasyAccess® line of products that can be effortlessly, conveniently and safely operated by the transport vehicle personnel, with full confidence and satisfaction of the passenger groups they are dedicated to. The flagship products showcased in this Catalogue are complemented by the high capabilities of PPHU Larisa in custom design engineering and production which stem from a profound experience and enable custom delivery from scratch or by modifying the existing products in the range of PPHU Larisa. 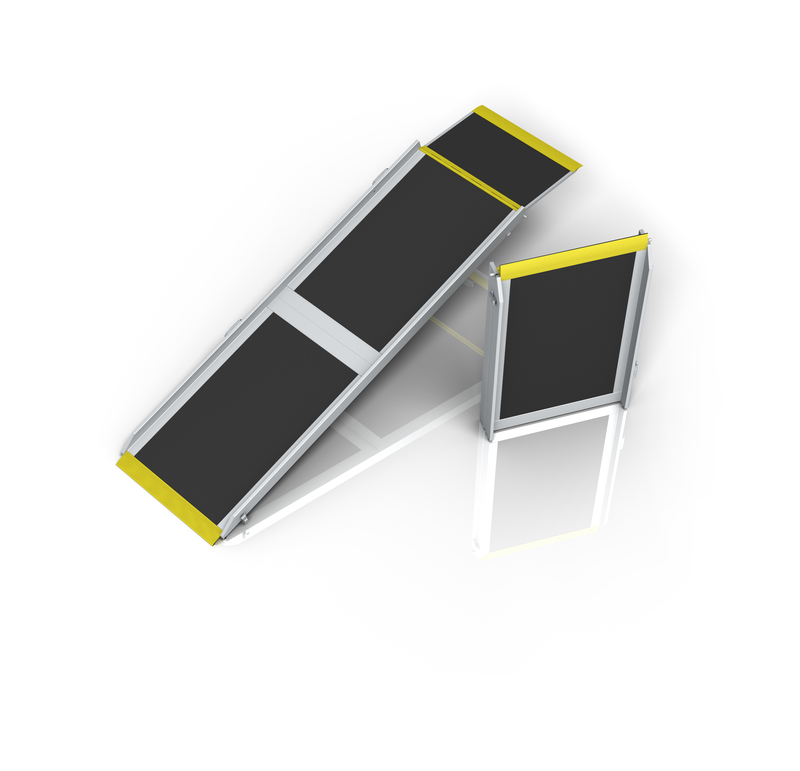 Portable ramps are easy to move and deploy at every location of use. 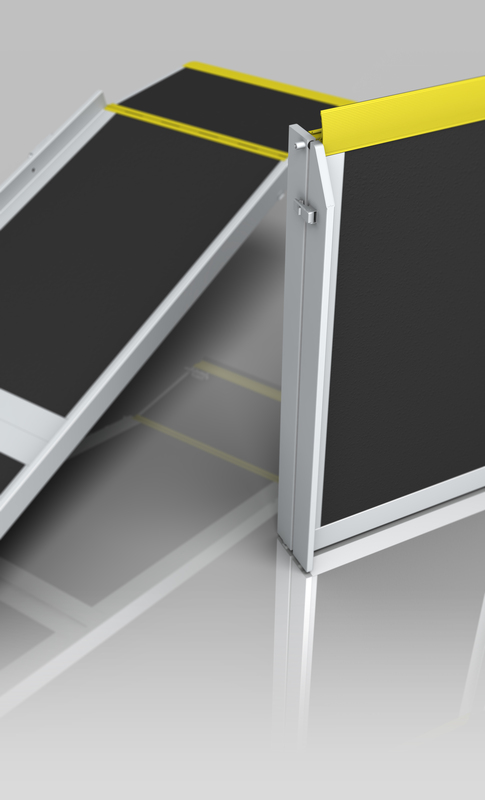 The onboard portable ramps can be deployed inside the access doors on both sides of the vehicle to save space, reduce the operating costs and reduce the vehicle service weight. Portable ramps can also be stowed on railway stations and platforms and readily moved to their deployment sites. 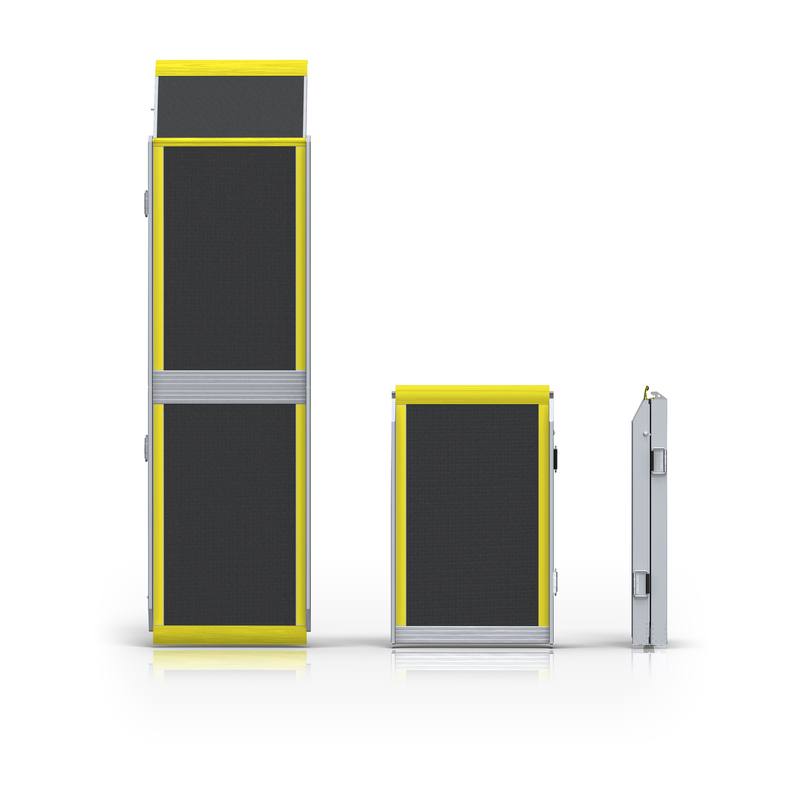 The portability of the ramps manufactured by PPHU Larisa enables their use in an infrastructural environment incompat-ible with current regulations and standards. The Type LWXX-04 ramp is the lightest portable ramp. 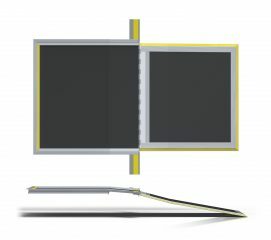 When folded, the portable ramp becomes a suitcase-sized object the convenient handle and a low weight of which facilitates carrying to a considerable distance and easy operation, espe-cially by female personnel. 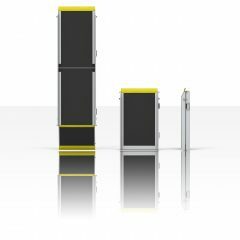 The ramp is accredited and certified by the research body at the Railway Institute in Warsaw as an TSI PRM compliant product. The Type LWXX-04 ramp features the proprietary Larisa® RubberFooting system which provides anti-slip and anti-vi-bration protection. 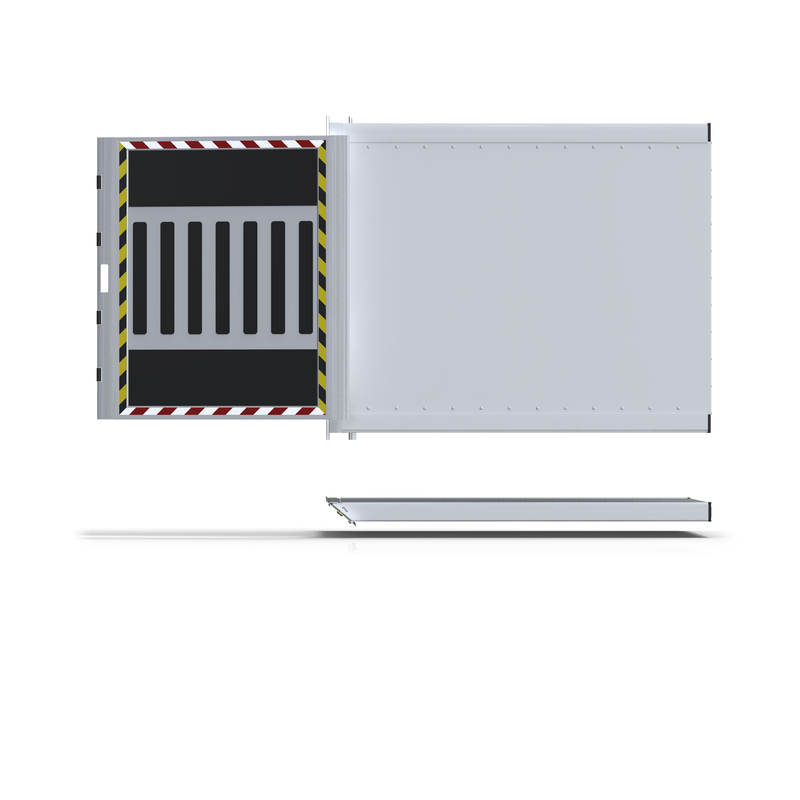 The ramp has guardrails on both sides and a FastLock closure, comprising a strong and simple Velcro-secured strap. Anodized aluminium parts make the product robust and fit for long, heavy duty operation. 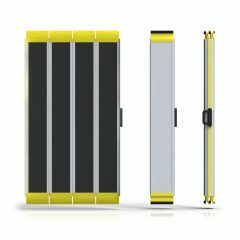 The ramp length and width depend on the custom order. PPHU Larisa provides competitive prices and a great flexibility of custom design. 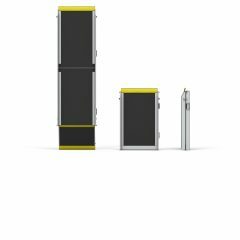 The Type LSXX-02 portable ramp has been designed for passenger rail wagons and buses. 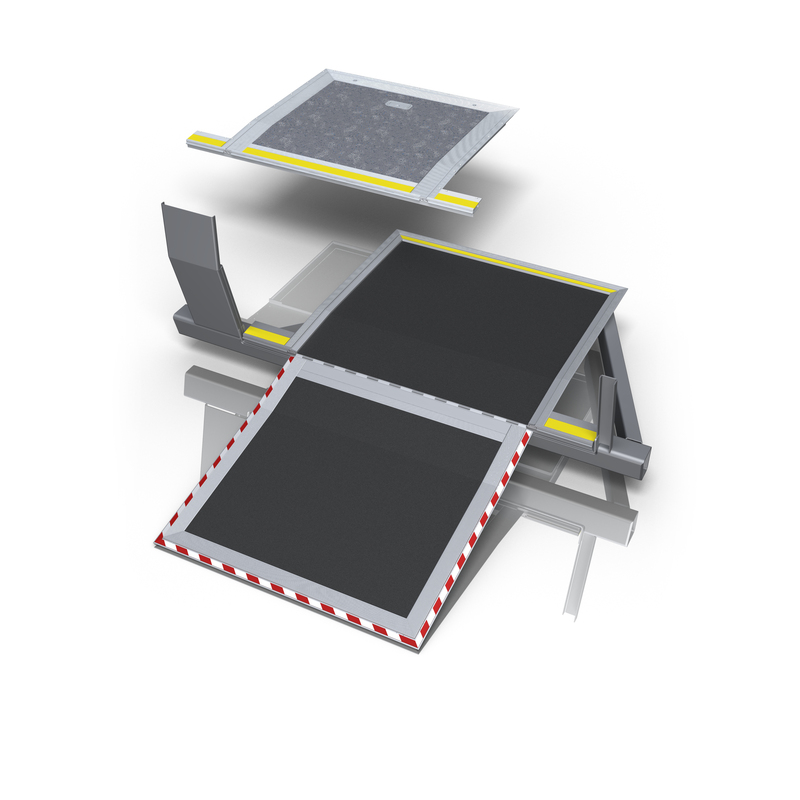 This model is dedicated to wher-ever the ramp length must exceed 200 cm and the vehicle floor height above the platform level is extremely large. This ramp model is available with any custom length up to 3.5 m. Passenger rail wagon ramps can feature optional security latches for attachment to the vehicle structure. An optional wheel-chair platform is available for negotiation of onboard stairs. 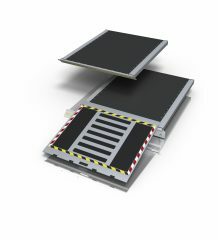 The stationary ramps are the ramp models permanently installed in the vehicle as their operating site, which reduces the deployment time as compared to the portable models. 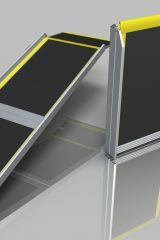 The stationary ramps are usually integrated with the vehicle floor. Their primary applications include tram cars, buses, trol-leybuses, and suburban commuting trains. A stationary ramp integrated with the chassis (and used e.g. in the Jazz Duo tram cars in Warsaw). The design of the Type R09-02 ramp is a response to the demand for a simple, budget-friendly and reliable access solution operated by the driver. 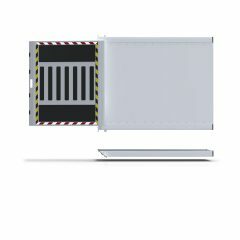 The innovative concept of the ramp extension from beneath the vehicle chassis, instead of the traditional hinged flap action, has been instantly acclaimed by those vehicle operators who value ease of vehicle sanitation and a high efficiency of onboard features. 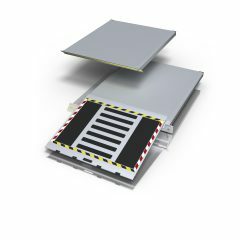 This ramp type extends from underneath the vehicle floor, so the integration does not require any joints or seams within the door area and the cabin floor does not lose its water-proof performance. 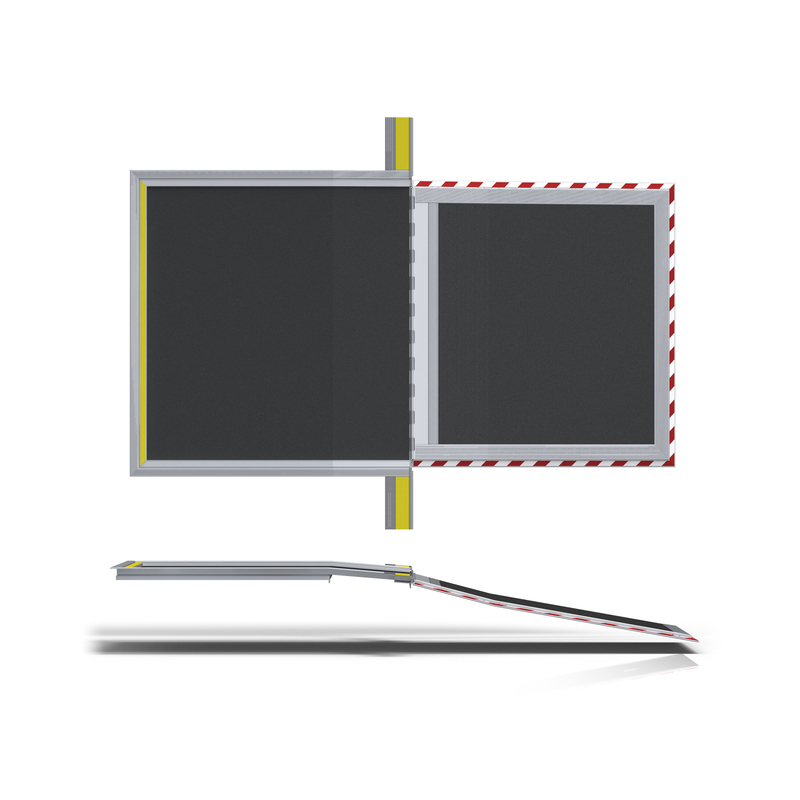 The ramp is made from lightweight, self-passivated materials for a guaranteed durability. 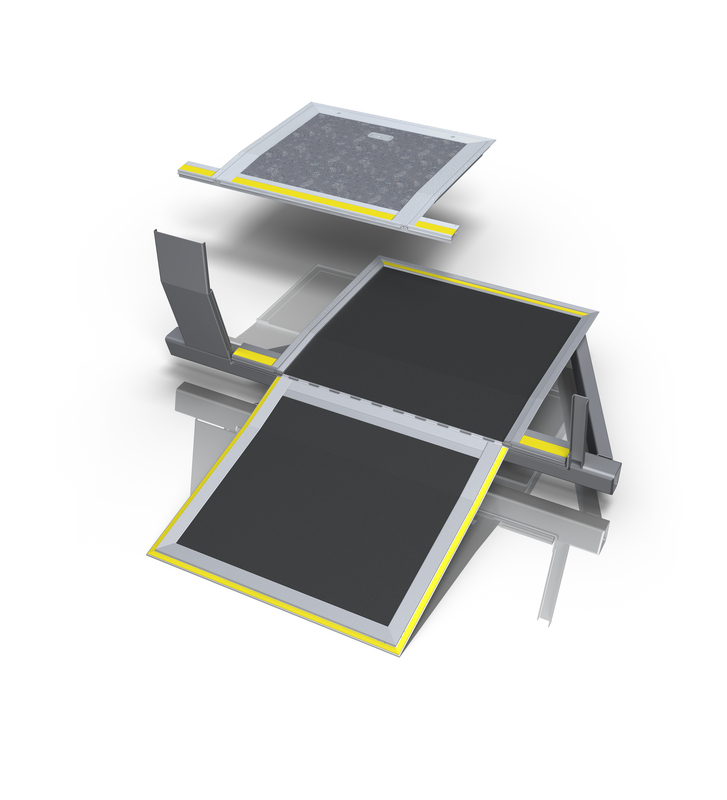 The ramp features the proprietary Larisa® RubberFooting antislip system. To provide maximum safety of passengers, the ramp also features an NC 24-volt induction sensor to indicate the ramp position on the driver’s control desk. 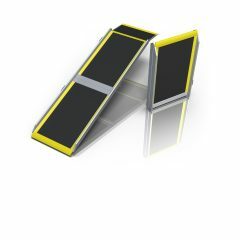 The Type P95-01 stationary folding ramp installed in the floor of the vehicle is the traditional and most popular type of ramps for tram cars and buses. 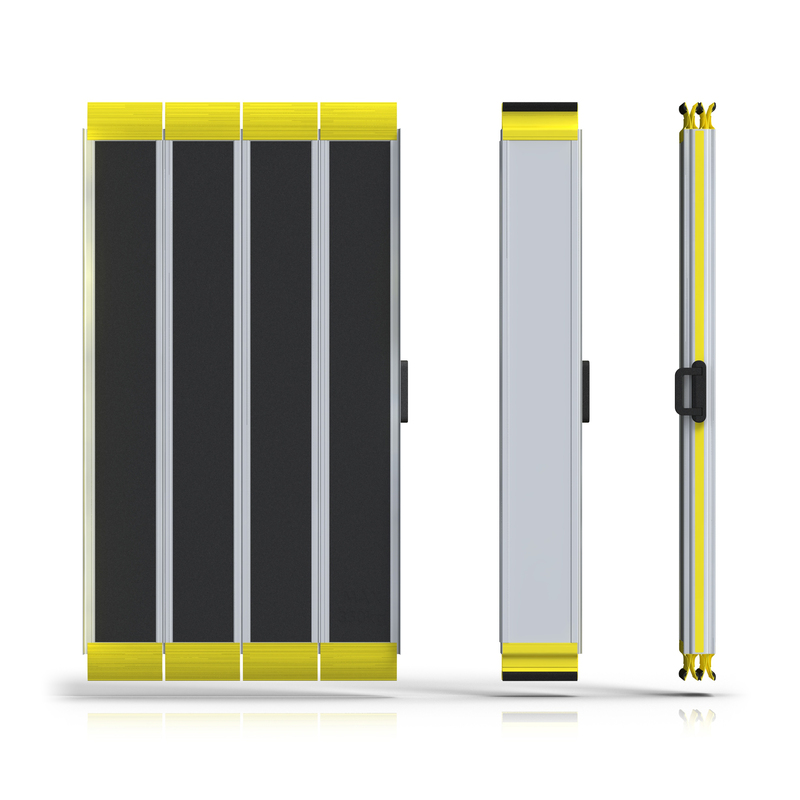 Its key features include exceptional ease and quickness of deployment and storage. The dedicated gasket between the ramp flap and tray effectively protects the ramp from the ingress of water. 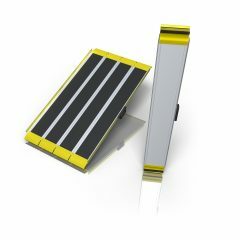 The ramp is made from lightweight, self-passivated materials for a guaranteed durability. The ramp features the proprietary Larisa® RubberFooting anti-slip system. 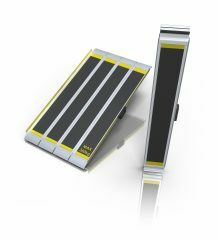 To provide maximum safety of passengers, the ramp also features an NC 24-volt induction sensor to indicate the ramp position on the driver’s control desk.